Lake Chelan Kokanee is getting great, not that is has been bad either, but is just getting better! The fishing has been good all year, with fish above average in size and quantity both. With the water warming up the fishing should just get better and better as the fish move down lake. As they move down lake they will just get shallower, so instead of fishing up to 150 feet down we will be fishing as shallow as 15 and 20 feet soon as the fish move to shallower water. The fish have been biting on about anything we through out lately tipped with Pautzke Fire corn. The fish are mostly mid lake right now with good numbers in the lower basin also. Its going to be a great season on Lake Chelan and you better book your day soon before all the days are booked up! As the water warms up and spawn is over keep an eye out for for some excellent walleye fishing on Banks and Moses lakes too! 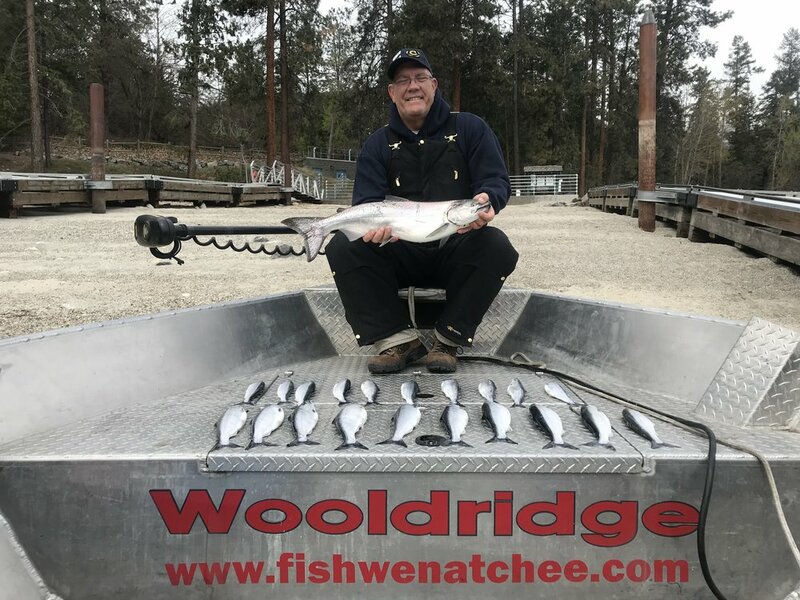 kokanee and walleye spring special of $50 off per person!